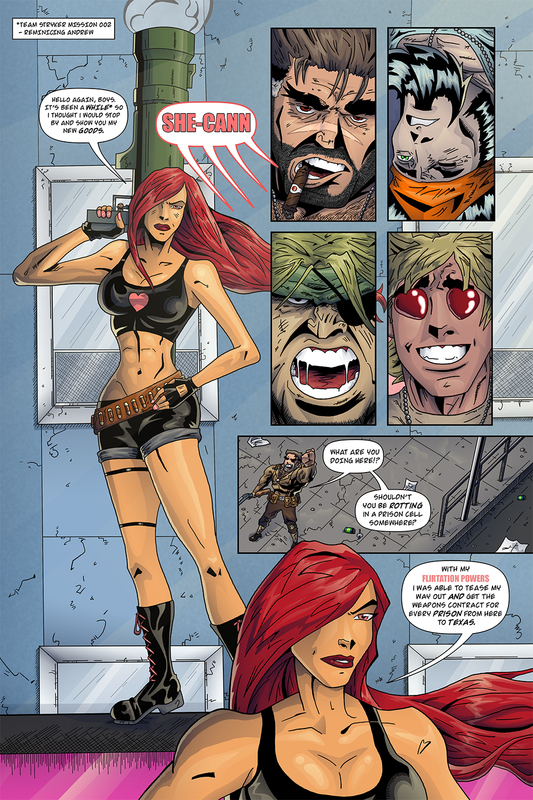 The cast of characters is growing by the page in Mission 010! When I started planning out this issue I wanted to make sure that all the returning characters got a bit of an upgrade design-wise. Back in 2009 when I first drew She-Cann I didn’t really have a plan or even a proper character design spec for her. I now have proper character model sheets for every hero and villain which will make sure that I can keep the quality getting better and better with each issue! I’ll do my best to keep the new pages flowing but keep checking Twitter, Facebook and Instagram @TSComic for all updates.